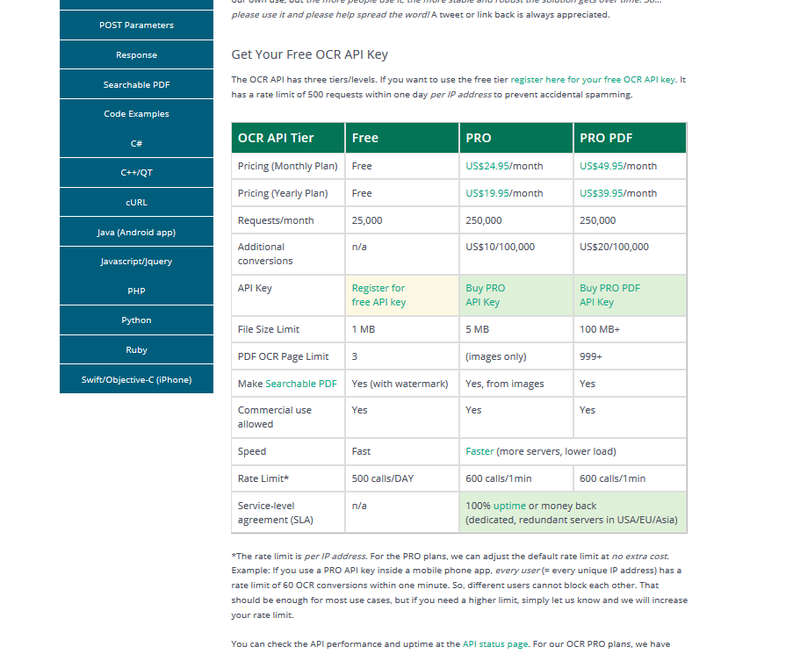 Either provide your PDF, JPG or PNG’s URL or store it in your database and retrieve its URL. 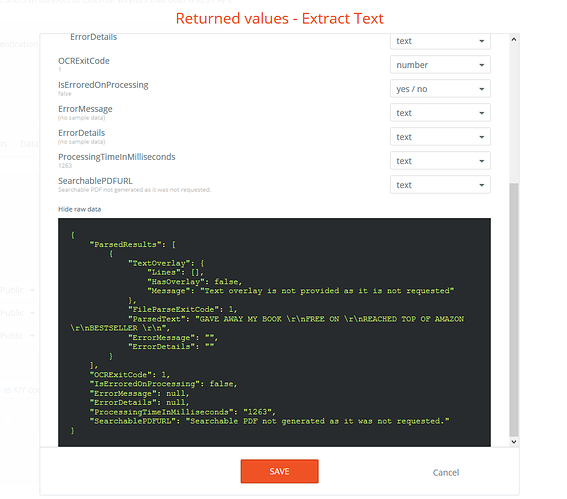 The server will respond with the text read from the sent items for you insert into input fields, databases or even maybe a screen reader! 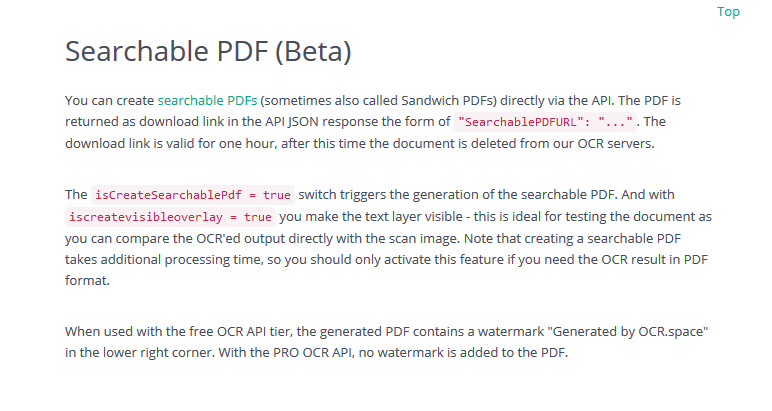 I have just updated the API call, after months of work they have now added get a searchable PDF returned from your OCR Request. 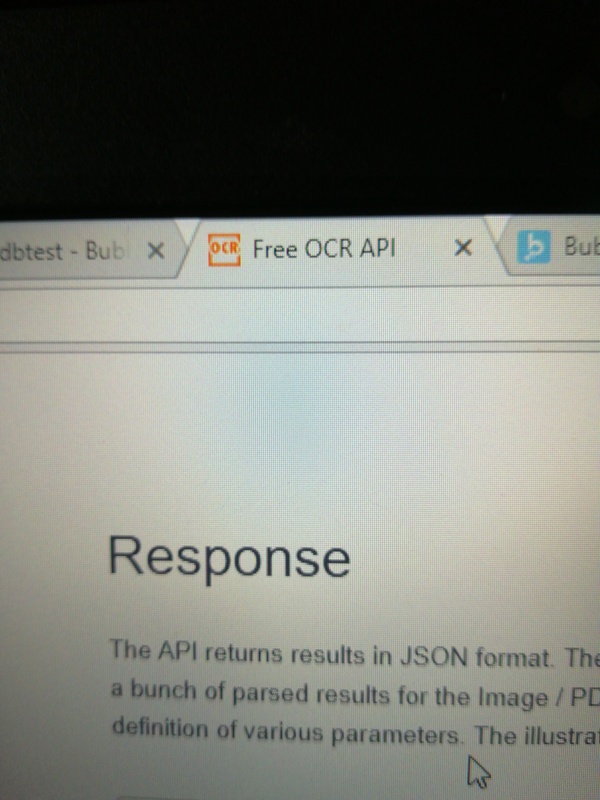 ** PDF has OCR.Space on it for free api key’s. ** the returned link to your PDF is valid for 1hr. This might be a silly question but would this be able to search a PDF file, say a pricelist. My intention would be to have an app that sends an order when stock is depleted then when the order is collected and an invoice emailed to me from my supplier. I would load it in the app and the app would read the invoice. The item number, number of that item supplied and the cost would be read. The app would then update the stock levels and check the prices against previously stored prices. I’m a newb so I’m asking whether this seams feeasible and what sort of work would be involved. If it was highly complicated would anyone have an idea of cost to have it coded for me. yer that’s pretty much inline with what you could achieve with this. if your prepared to get the bubble basics sorted you could make this app happen. there are plenty of people on the forum that are willing to help out if you get stuck. Would be great to get some help here! Thanks in advance!! 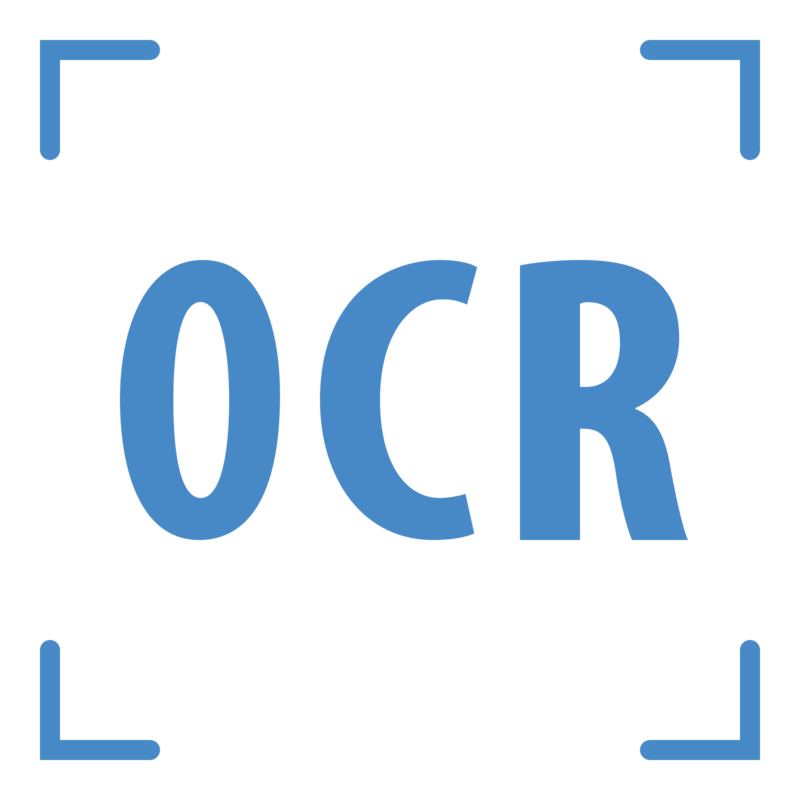 They are usually pretty good with notice of any changes, I have pushed an update, It now includes OCR via either a URL or Base64 of an image. If you require OCR of anything customized or need some logic before return Documental may be able to help. 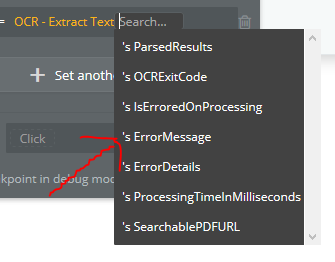 I see you also changed the input for the apikey…Still now I do not get any feedback from the API anymore…Not even the OCRExitCode. 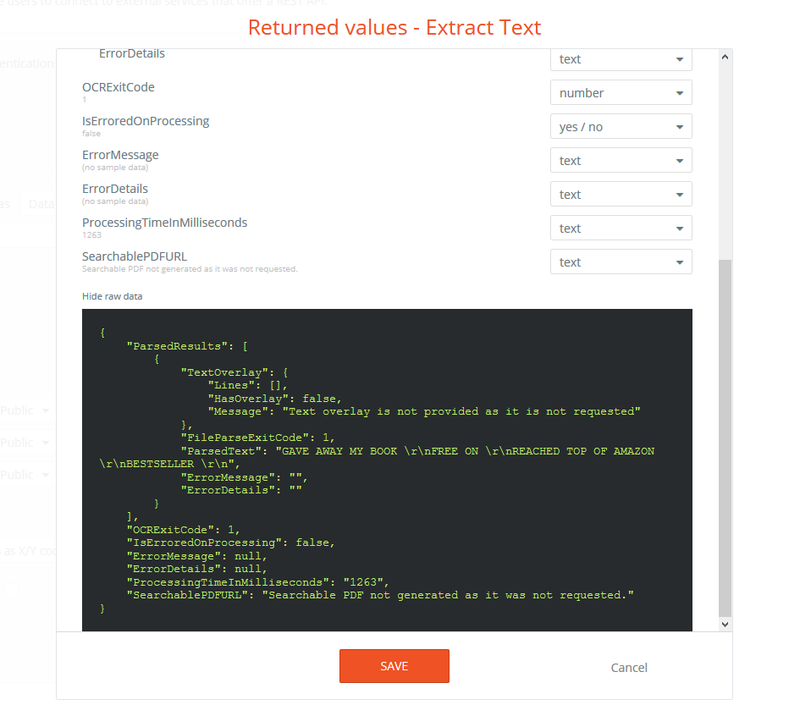 try your logic with the default url that is prefilled, leaving the base64 empty and see what you get. if you get nothing its your logic - assuming you have refreshed then updated the plugin. The plugin is returning just fine. 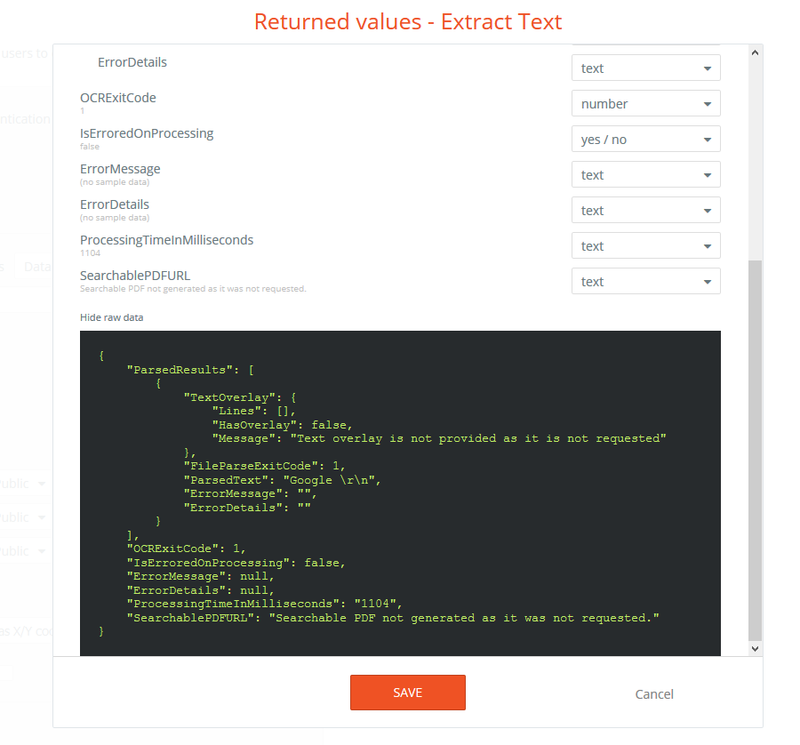 Did you try the default url that is in the properties to start with? This is a question to help diagnose your issue. The other difference is https://ocr.space/ does not require a key but the plugin does, so have you verified your key is correct from the key supplied by https://ocr.space/? The only other thing i can suggest is its a privacy rule - I have tested the plugin in the builder & 2 very different apps and they all work 100% so this must be within your app. 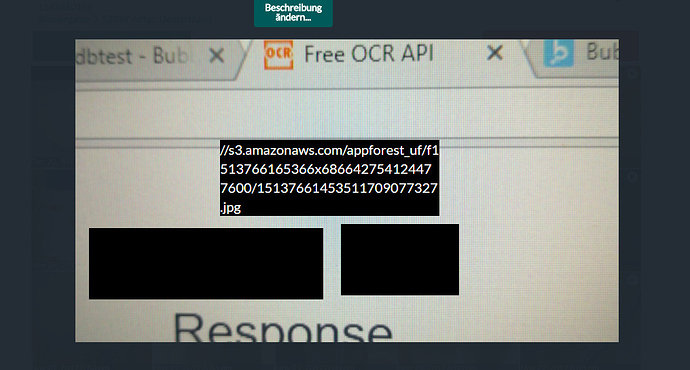 Tip: When serving images from an Amazon AWS S3 bucket or a similar service for use with the “URL” parameter, make sure it has the right content type. It should not be “Content-Type:application/x-www-form-urlencoded” (which seems to be the default) but image/png or similar. 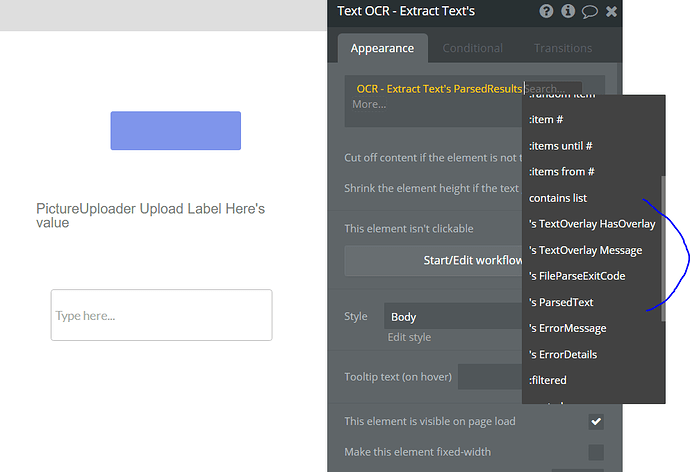 Alternatively you can include the filetype parameter and tell the API directly what type of document you are sending (PNG, JPG, GIF, PDF). and the file size is limited, as stated at the very top of the document your quoting above… downside to free i guess. I am stuck, having installed the api now I dont know from where to start. I enabled the api workflow from settings and want to read text in pictures that i am uploading through a form. Can someone help me with that.